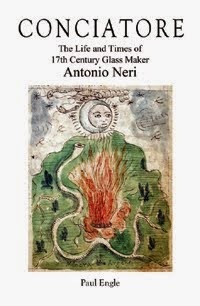 In all likelihood, Antonio Neri started his glassmaking career around 1601 in the laboratory palace of Medici prince Don Antonio. The Casino di San Marco is located on the north side of Florence, not far from where the old city walls once stood. It was purpose-built as a laboratory by Don Antonio’s father, Grand Duke Francesco and stands on the former location of the sculptural school that Michelangelo attended as a boy. The Casino is a remarkable structure in the history of science, however, our subject today is not the laboratory but one of its primary inspirations, located across town in the Palazzo Vecchio; The Studiolo of Francesco de’ Medici. Books of secrets, like Neri’s L’Arte Vetraria exposed methods to transform nature. Cabinets of curiosities, on the other hand, celebrated the finished products as well as nature’s ready-made treasures. These so-called cabinets were a sort of physical counterpart to books of secrets. Starting as small collections of exotic objects, princes and nobles strove to out-do each other and the largest examples encompassed entire rooms. In the early 1570s, at around age thirty, Francesco de’ Medici initiated a special project; he constructed a secret room in the Palazzo Vecchio. Accessible through a concealed staircase in his bedroom, this small, but opulent, study chamber was devoted to natural curiosities and secrets. The “Studiolo” contained his collection of rare gems, exotic seashells, animal horns, chemicals, potions, scientific instruments and other strange and wonderful treasures collected from around the world. Part study and part museum, Francesco used the Studiolo to escape public life and explore the secrets of nature. This menagerie and ones like it were an outgrowth of the wunderkammer or “cabinet of curiosities.” Early in their evolution, they took the form of single pieces of furniture for the display of collections. Monarchs and nobles throughout Europe boasted collections of ever-increasing size and diversity. In a way, the Casino di San Marco was the next evolutionary step; from a cabinet of curiosities, to a study room, to an entire facility devoted to nature’s secrets. 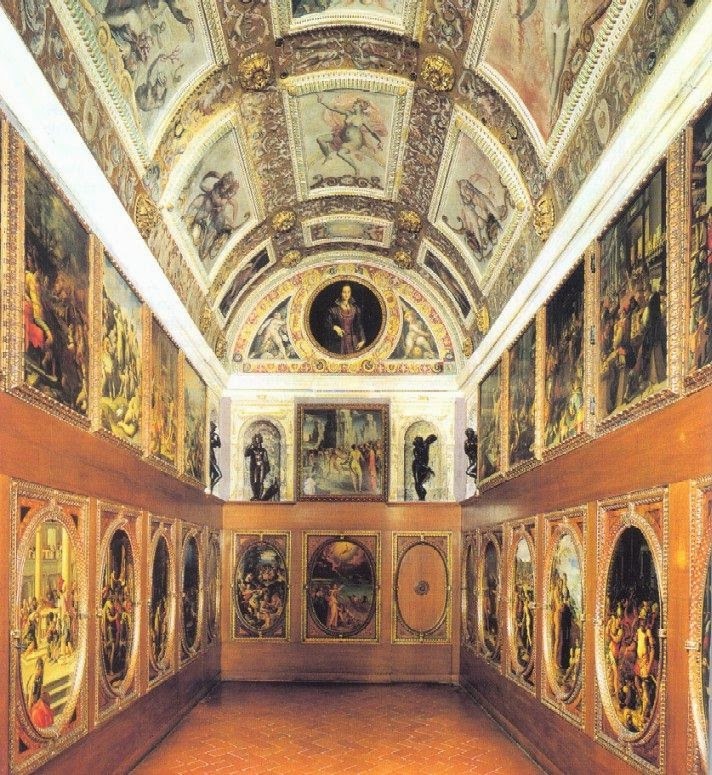 The paintings in Francesco’s Studiolo depict various religious, mythological, historical and industrial scenes. Some of them show various royal workshops documenting activities as diverse as goldsmithing and wool dying. A 1571 painting by Giovanni Stradano  is entitled the Alchemy Studio. It shows Francesco I in the Uffizi surrounded by laboratory equipment and workers. Constructed between 1567 and 1675, cf. Feinberg 2002, Edwards 2007. Giorgio Vasari (1511–1574), Vincenzo Borghini (1515–1580). Giovanni Stradano, also called Jan van der Straet (1523–1605).